This wooden machine is elegantly designed and easy for students to use. It comes with a built-in mass, but the cart has a shallow indent for adding additional mass if needed. 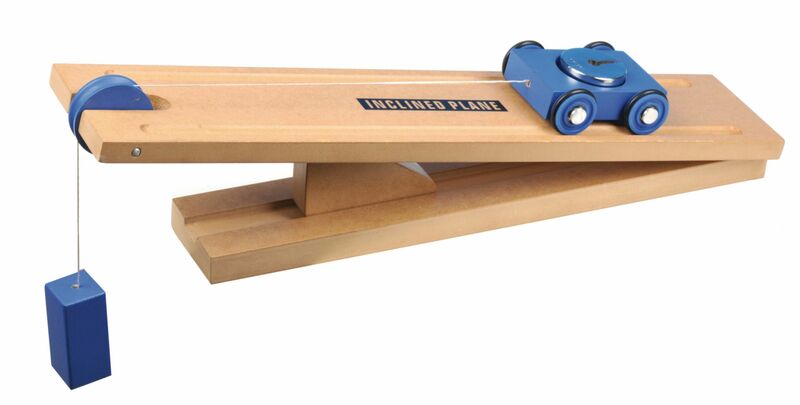 Student can study several different simple machine concepts with this one apparatus. Includes an instruction manual to facilitate student and teacher use of the apparatus.